Like I’ve mentioned before, I really liked the packaging of these masks… very simple yet colourful and bright. DERMAL ESSENCE MASK is a new essence mask which specially formulates cosmetics to penetrate highly concentrated active ingredients into the skin while keeping air out of the skin completely thus, it makes your tired skin moistened, elastic, clear and relieves your skin from stress. WATER, GLYCERIN, BUTYLENE GLYCOL, ROYAL JELLY EXTRACT, HYDROLIZED COLLAGEN, ALOE BARBADENSIS LEAF JUICE, PORTULACA OLERACEA EXTRACT, BETA-GLUCAN, PANTHENOL, TOCOPHERYLACETATE, POLYSORBATE 80, DISODIUM EDTA, XANTHAN GUM, PERFUME, METHYLPARABEN. 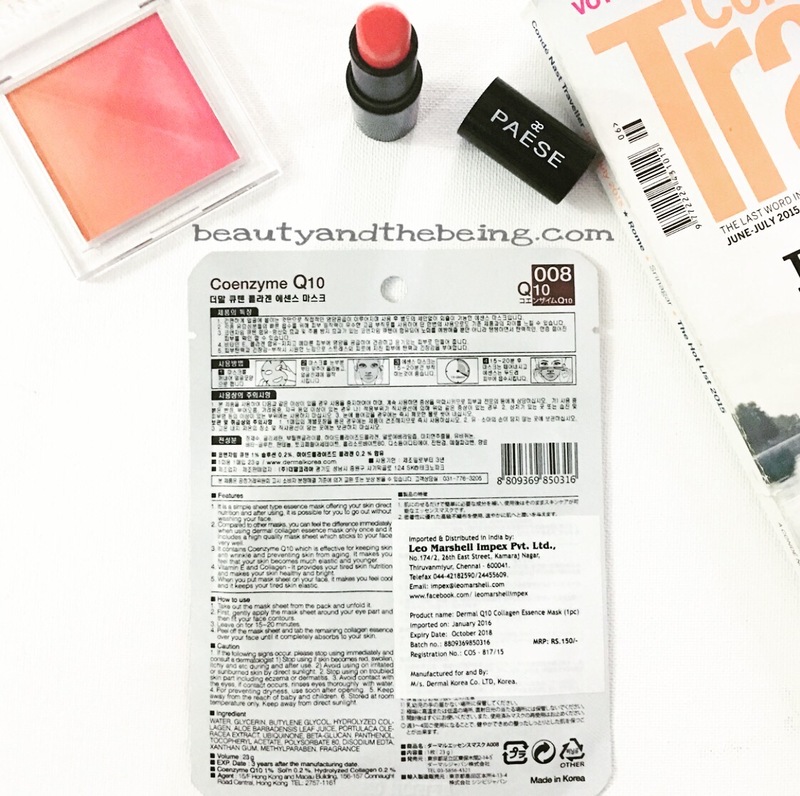 Coenzyme Q10 Sol’n 0.2 %. 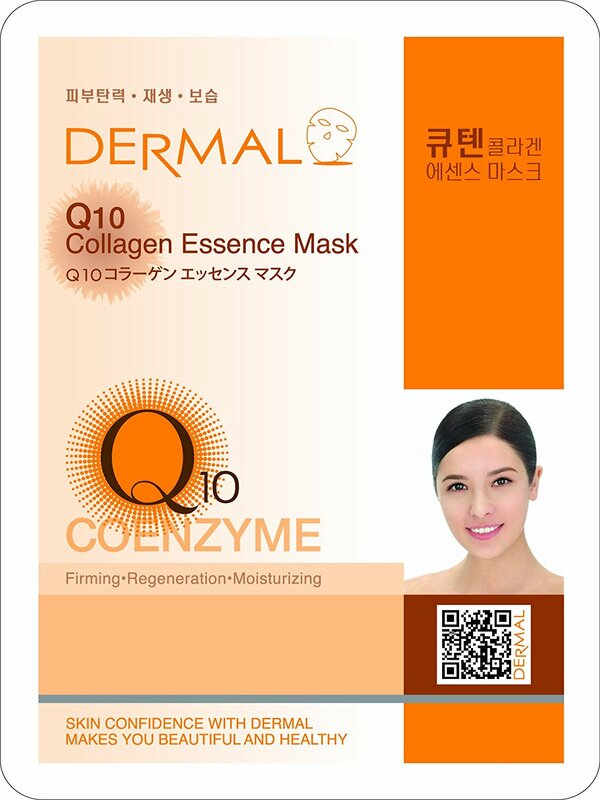 It contains Coenzyme q10 which is effective for keeping skin looking younger and preventing skin from ageing. Your skin feels smoother, plumper and more elastic. Vitamin E and Collagen-It provides your tired skin nutrition and makes your skin healthy and bright. Let us start with the positives, shall we?! The quality & texture of the mask is good – it’s thick, but very soft at the same time. I think as for fit, this is probably one of the nicest fitting mask for me so far from the ones I’ve tried. 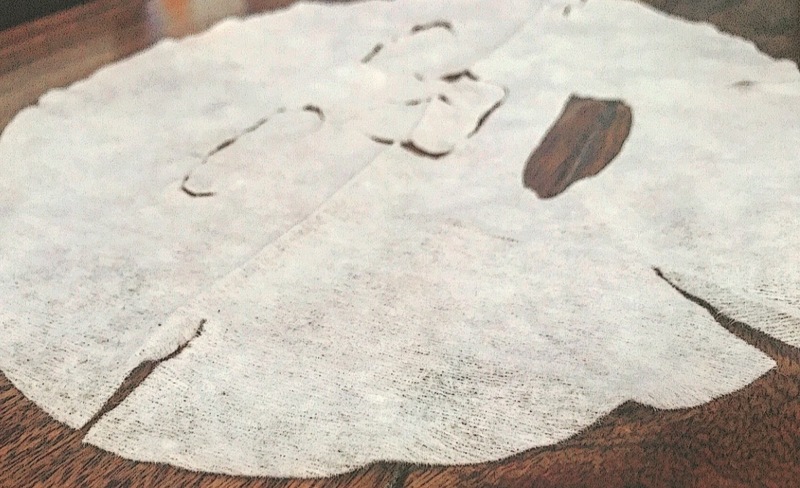 As you can see in the pictures, the sheet has slits in various places for the mask to lay on your skin perfectly. The eye & mouth hole placement on the mask were great. There was no discomfort or pokiness around the eyes. 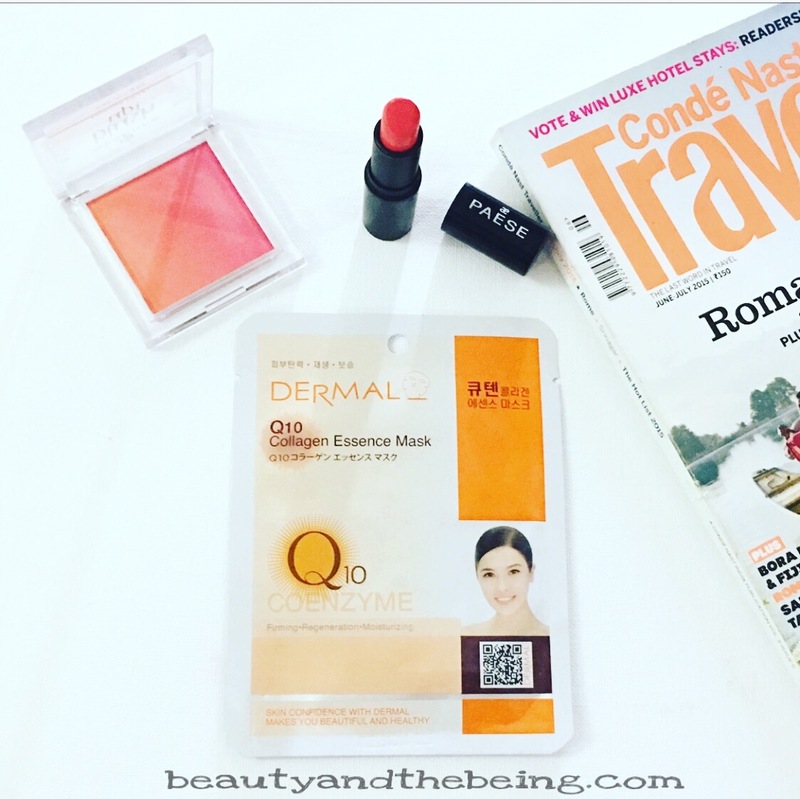 The mask feels instantly cooling & soothing on the skin. I felt no irritation or itchiness the whole time I had this on. Once again, no allergic reactions or breakouts after use. I also love the fact that the essence is not sticky at all, so when you remove the sheet mask you won’t even feel any product sitting on your skin. Now coming on to what I do NOT like about this mask. For starters – the smell! It has a very chemical/harsh scent to it. Almost like alcohol, which to be honest puts me off right away. But, the scent stays for only about a minute or so. If you’re looking for an affordable mask that will hydrate your skin and make it feel firm, then yes – give this a try. Don’t be put off by the fragrance, because to be honest it stays for no more than a minute. 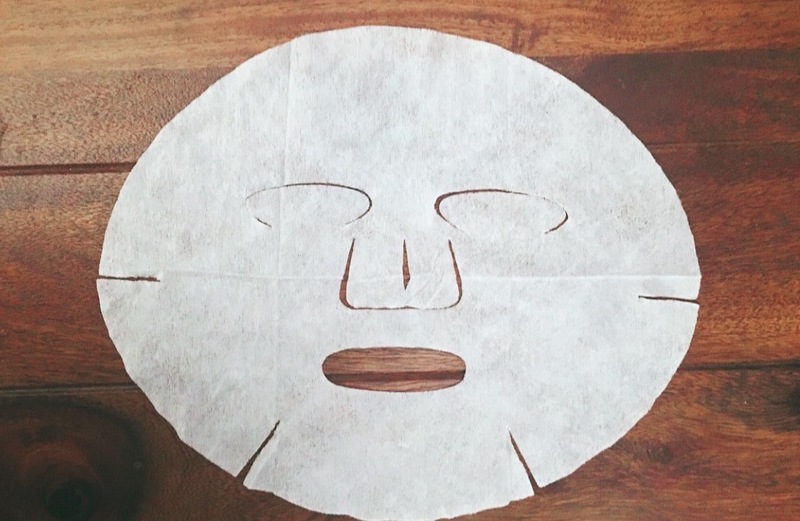 I would highly recommend you also give Mond’sub masks a try, they’re one of my absolute favourites.